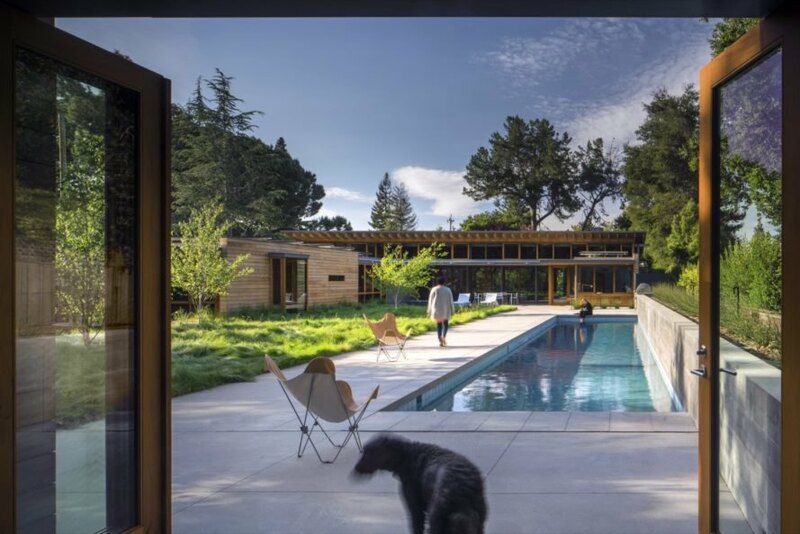 San Francisco-based architecture firm Bohlin Cywinski Jackson recently completed the Los Altos Residence, a modernist family home for a couple who strives to be environmentally conscious. 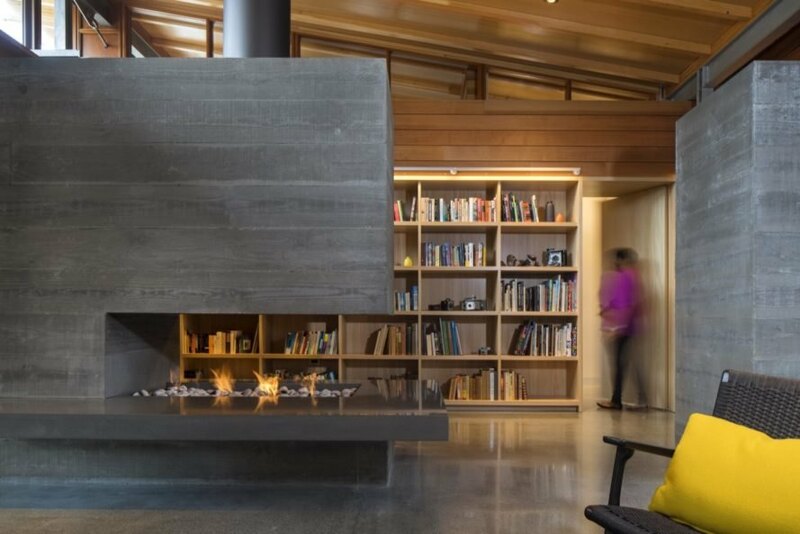 Located in Los Altos in northern Silicon Valley, the home and adjacent guesthouse boasts an energy-efficient design that follows passive cooling principles and is equipped with renewable energy systems. The low-slung residence mimics the Northern California ranch-style home with a distinctly modernist slant marked with clean lines and a restrained material palette. The Los Altos Residence comprises two buildings: a main residence of 4,151 square feet and an additional 479-square-foot guesthouse. The existing landscape played a large part in the design of the site-specific home, which is organized around a mature Japanese maple tree. The windows and doors were strategically placed to frame views of the diverse landscaping surrounding the home and to take advantage of cooling cross breezes. 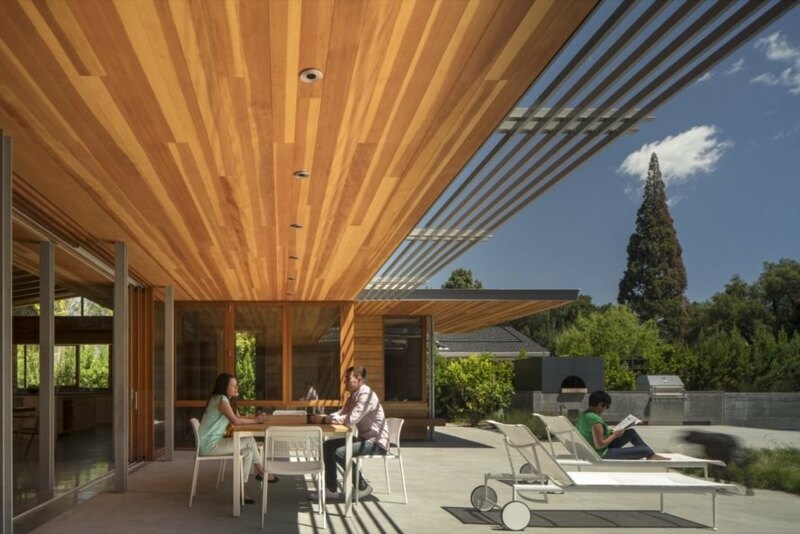 In addition to passive cooling and use of the stack effect in the double-height living space, the energy-conscious Los Altos Residence is also equipped with photovoltaic and domestic hot-water rooftop panels to offset electricity consumption. Energy is further conserved with a highly insulated building envelope and large overhangs that block unwanted solar gain. Concrete radiant floors also provide added warmth in the winter season. The 4,151-square-foot main residence connects to a 479-square-foot guesthouse. The double-height open-plan living area makes use of the stack effect for cooling. Concrete radiant floors are used throughout. 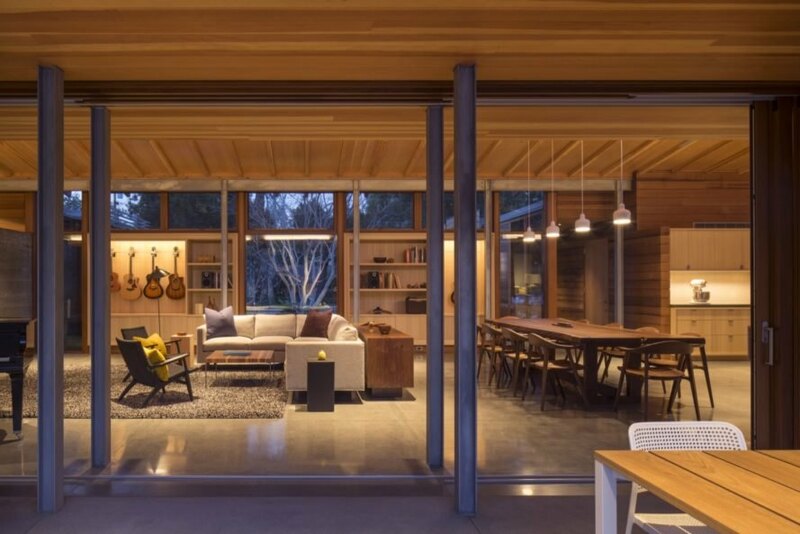 Large operable glazing provides connection to the outdoors. 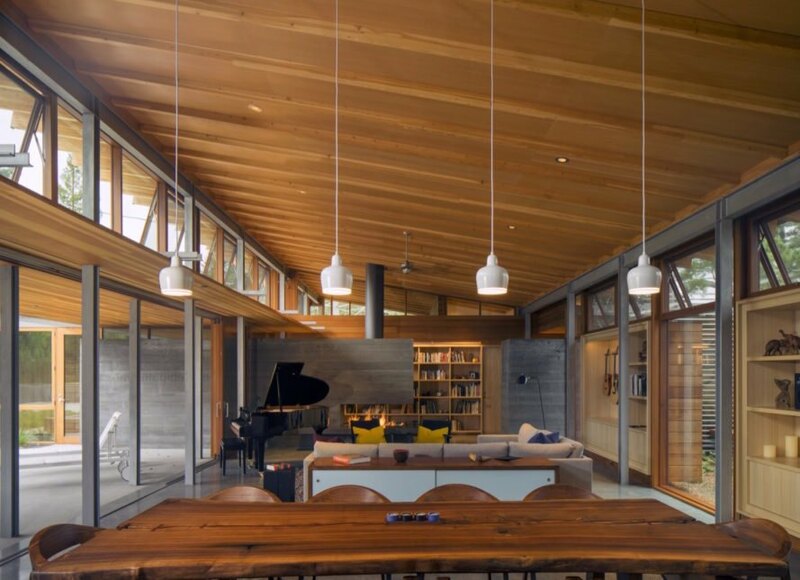 Deep overhangs extend the living space to the outdoors. The home is built for entertaining and features a large pool. 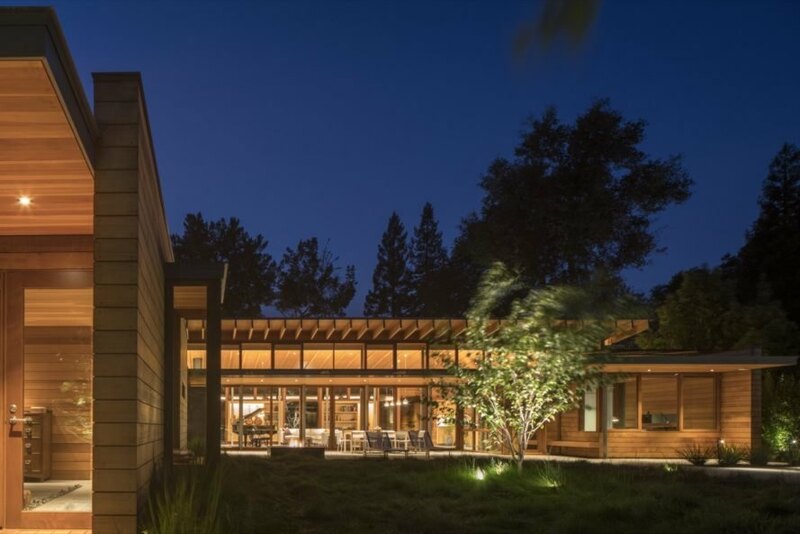 The solar-powered Los Altos Residence seen at night.